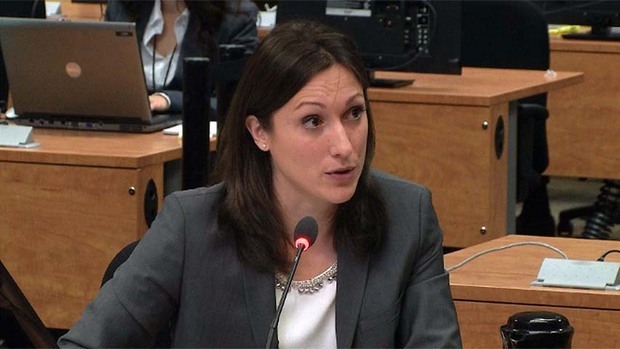 Charbonneau Day 2 ( CEIC ): Valentina Tenti Testimony Afternoon – WHO KILLED THERESA? So on the break I read ahead in the Valentina Tenti report, Framing Mafia Infiltration in the Public Construction Industry in Italy (I’m impatient). Take a look at the Case Studies in Part II; Master Builders, Master Criminals in Sicily (Page 59), The Free Port Project in Calabria (Page 67), and Campania (Page 74). If this is the template for investigation that Charbonneau is setting the table with, then this is going to be big, and everyone will be implicated: organized crime, entrepreneurs, “white collars” (accountants, lawyers), public and private sector professionals, public officials and politicians. Tenti resumes testimony tomorrow morning. The Gazette’s Monique Muise has been Tweeting the hearings, and providing excellent summaries of the proceedings. She’s got a good wrap up of today’s events here.